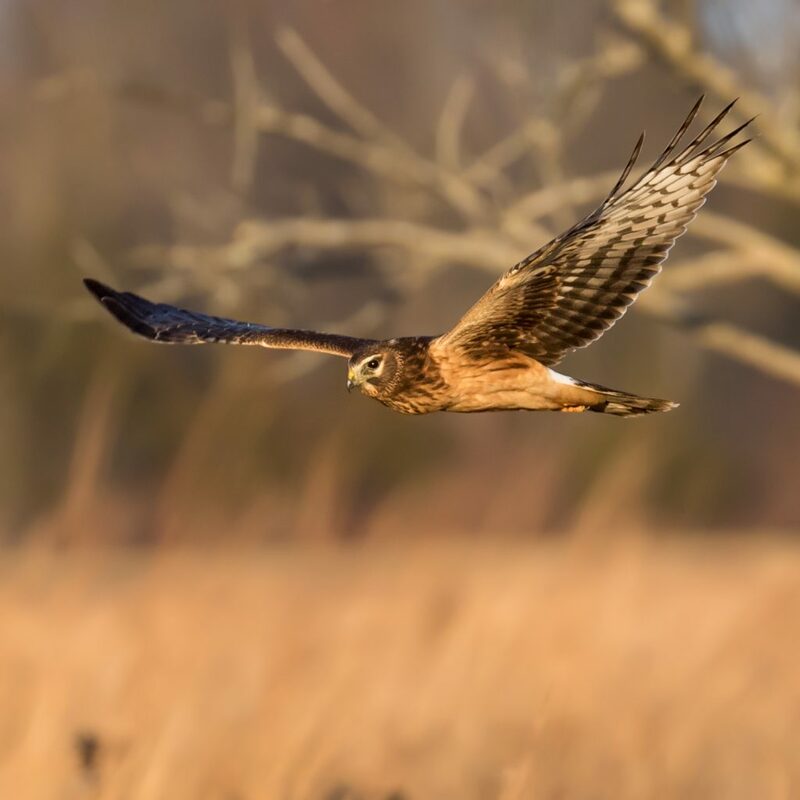 One of the many Northern Harriers up at the Shawangunk Grasslands this evening, 12/23/18. I spent much of the past couple of days running around Orange County in hopes of adding a bird or two to my 2018 list. My most likely candidates are Cackling Goose, which I can’t believe I haven’t had this year, and Winter Wren, which is a bird that apparently hates me very much. I failed at locating either of my targets, and frankly, the birding was not very exciting. This morning was slightly better than yesterday, and I ended up getting some good looks and decent shots of several raptors. 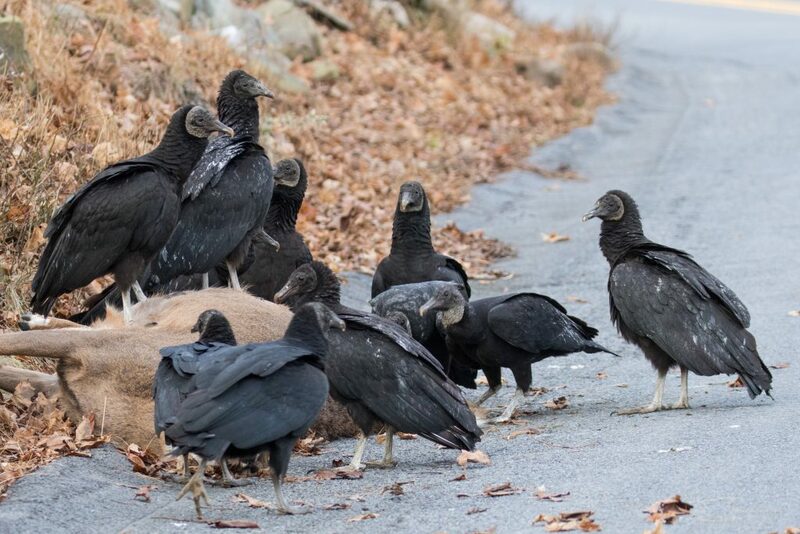 It started early this morning when I had a huge number of Black Vultures in a neighborhood in Warwick, having their way with a road-kill deer. There must have been upwards of 40 Black Vultures, around the carcass, on lawns, and on rooftops. Then, at Wickham Lake, there were 5 Bald Eagles present – 3 adults and 2 young birds. 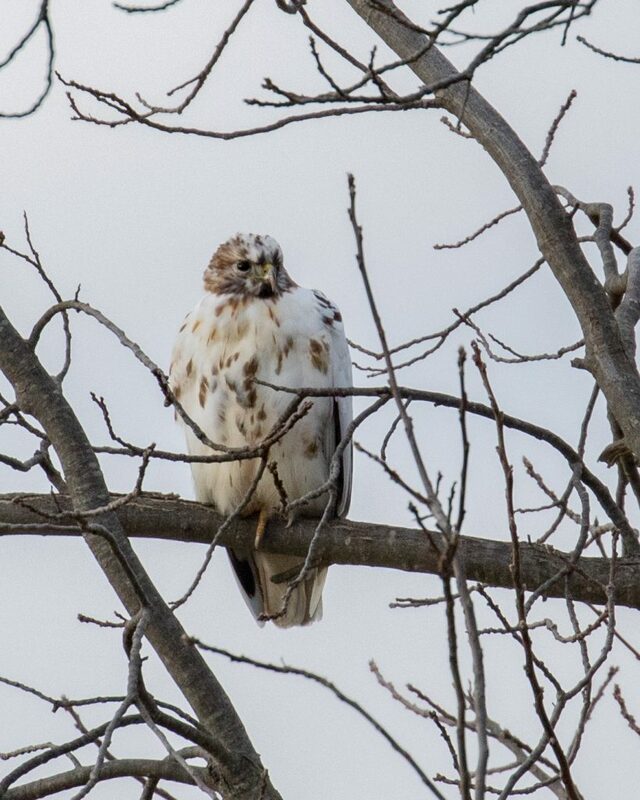 Later, I ran into the leucistic Red-tailed Hawk in Warwick for the first time in absolutely ages. 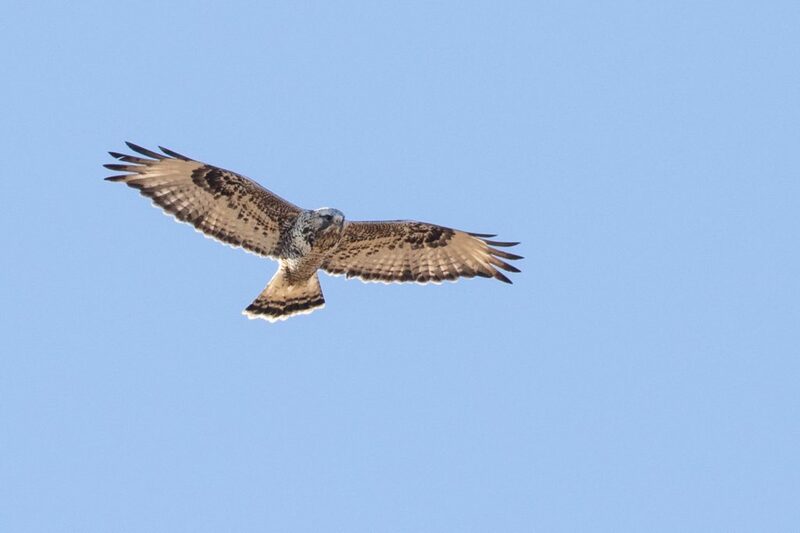 On my way home, I spied a light morph ROUGH-LEGGED HAWK hunting over 6 1/2 Station Road Sanctuary. It was only my 3rd RLHA of the season, and my first decent look; the bird was kind enough to circle directly overhead. With raptors on my mind, I decided to head up to the Shawangunk Grasslands in the evening. It was good to see Ken McDermott and also Justin Schmidt, who I hadn’t seen in who-knows-how-long. The place is absolutely loaded with Northern Harriers – it’s hard to put a number on it, but I’d say at least 15 or so. The Short-eared owls came up just as it was getting dark; my best count was 7 of them. They put on pretty good show, in spite of the fading light, and it was really good to see and hear them. that leucistic rth is beautiful! Nice seeing and catching up with you Matt! Glad you got to see the owls. Hopefully I will soon enough. 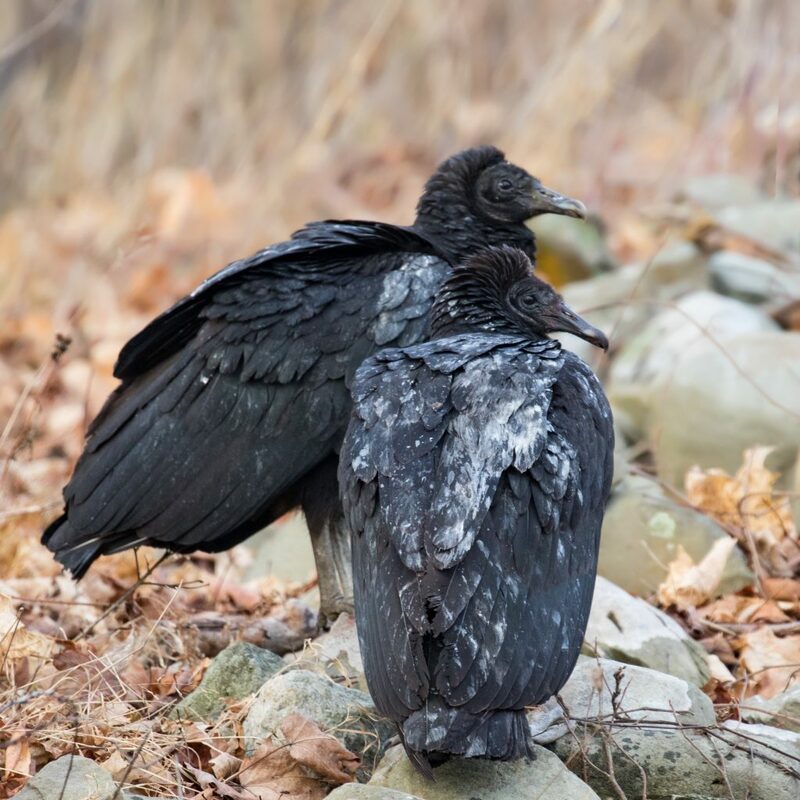 Love all of your raptor photos, but I must say that the Black Vultures are fabulous! Great to see you today, as always, Matt. From your Black Vulture photos it is extremely obvious just which ones are lowest on the roost and probably in esteem!